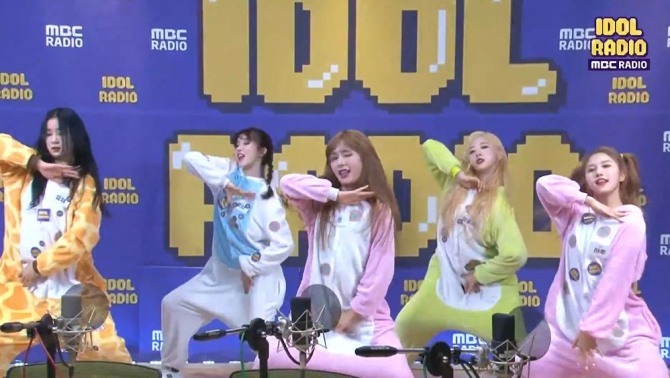 Girl group Nature showcased its dance moves on the K-pop idol-only radio show “Idol Radio” on Thursday. 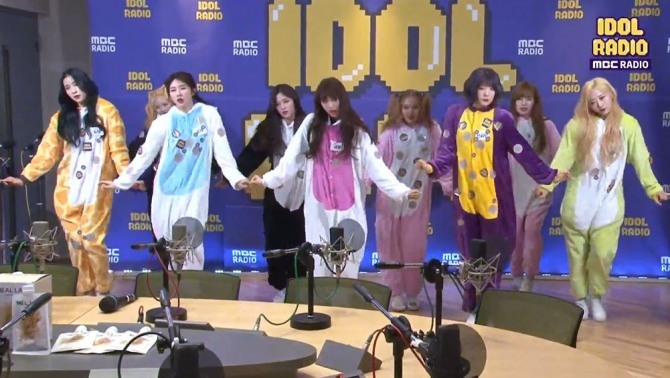 Wearing cute animal pajamas, the bandmates danced to a medley of K-pop songs. Aurora and Loha began with Mino’s “Fiance,” showing a different side of themselves. Bandmates Lu, Haru, and Uchae then danced to “Energetic” by Wanna One. In the middle of the video, the music changed to girl group songs, including those by Apink, IZ*ONE, Chungha, and Jennie. All the members performed perfect dance moves as a group. Nature is a rookie band that debuted last August under N.CH Entertainment. It is set perform its new song “Dream About You” on the TV program “M Countdown” on Thursday. Naver’s real-time broadcasting app V allows fans to interact with their favorite K-pop stars through live broadcasts. The app is available for Android and iOS. For more information, visit http://www.vlive.tv.